We have listed all of the Bethel Heights food pantries that we have found. With help from users like you we have compiled a list of some. If you know of a food pantry that is not included here, please submit new food pantries to our database by going to the ADD A LISTING link on the header of our website. 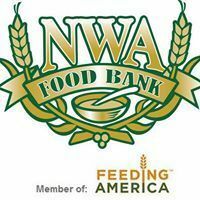 With both the population of Northwest Arkansas and the number of people who face financial hardship continuing to grow, the need for food distribution services to those facing or experiencing hunger is increasing. It is through partnerships with over 140 member agencies that we are able to reach out to those in need.For more information, please call.